FARM WORKERS MEMORIAL PLAZA — Pacific Coast Land Design, Inc.
Santa Paula has an agricultural heritage dating back to the 19th century. This labor force has produced citrus, fruit and vegetables for people around the world. 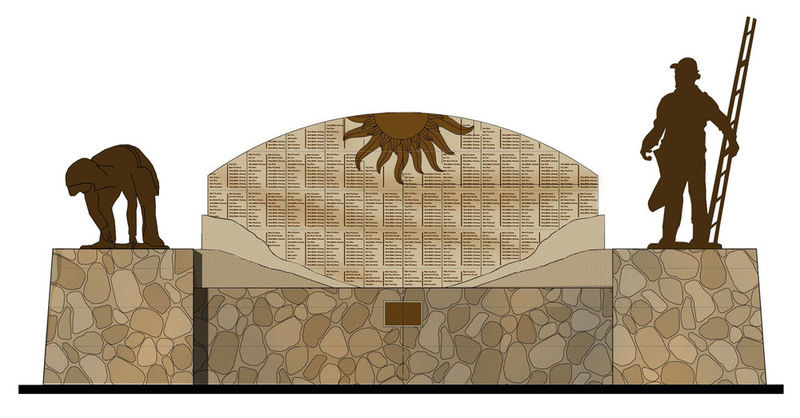 The City, under the leadership of the Hispanic-American community, raised the money to build a memorial to honor the accomplishments and hard work of this community. Design and help implement construction of a memorial monument and plaza that would honor the farmworkers of the Santa Clara River Valley in and around Santa Paula. Statuary by sculptor Brian Arthur & artist Hilario Galeana. Weather based irrigation, increased landscape & hardscape permeability.